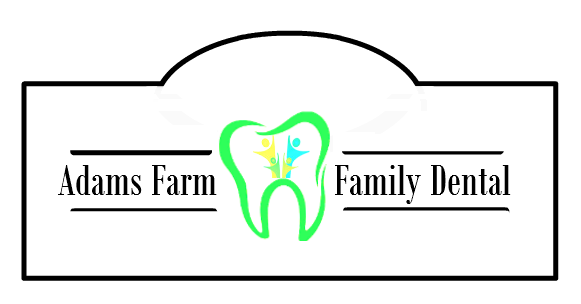 Here at Adams Farm Family Dental we specialize in making your smile the best smile it could be. If you are missing teeth and have anxiety about your smile then contact us about our dentures today! Call now. Dental implants are the new rage. These prosthetic tooth replacements are the most realistic and comfortable options for filling in spaces in your mouth. Call us now if you want to know more about dental implants. 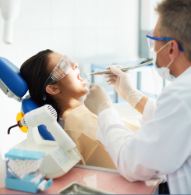 If you are a high fear patient and are hesitant about getting dental work done due to the drill and bill then contact us about our sedation services. Our dental staff are sedation fellowship certified and can have you as comfortable as possible when doing work. Call now. We are a Greensboro based dental office that strives to make your smile the best smile. We have the skills, the technology, and the staff that it takes to recreate your image. Our dentists have been practicing the dental arts for decades. We have the cosmetic skill to fashion any smile that you need. ​Teeth Whitening: We offer teeth whitening therapy for those who want their smiles the whitest and the brightest. We can whiten your teeth using teeth whitening bleaching trays as well as state of the art technology. We can have your smile perfected before major life events such as weddings, graduations, and anniversaries. We can have your friends and family in envy of your newfound smile. Our staff is adept at teeth whitening therapies and have had years of experience to perfect their craft. Let us work on your smile today. Call now us now at 336-715-3014. ​Teeth Cleaning: Our hygienist are accommodating to your oral health needs. They can have your mouth in top shape because they appreciate the importance of dental hygiene. Dental hygiene is one of the most important investments that you can make for your family. To have seasoned and experienced staff operate on your smile on a routine basis can make a world of difference for your overall health. Our hygienist can prevent gum disease, cavities, and oral infections. By investing in your teeth now you can prevent pain, and swelling much later in life. We are able to accommodate children as well so do not hesitate. Call us now 336-715-3014. 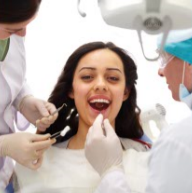 ​Sedation Dentistry: If you are a high fear patient who is afraid of the drill then we have the answer for you! We offer consultation for sedation dentistry services that can have you completely relaxed as your receive your dental treatment. Our dentist can have your work done quickly, efficiently and comfortably using our sedation dentistry techniques. Our dentist are certified sedation dentistry fellows that are specialized in oral sedation dentistry as well as intravenous sedation dentistry therapy. If you are a high fear, high anxiety patient then contact us now to inquire about our sedation dentistry therapy. Call us now at 336-715-3014. ​Dental Crowns: The art of dental crown making has been perfected by our highly experienced dentists. Our dental professionals have been handling dental crowns for decades and are highly adept at the process. To create a the perfect dental crown it takes a sculptor. If you have dental crown needs then we are the ideal office to contact. We have the state of the art technology and the skills to make your dental crown the most comfortable dental crown possible. We also have deals that we offer on our dental crowns to make sure you can get quality at an affordable price. Our efficiency is unparalleled, and if high anxiety is an issue we offer sedation dentistry therapy. Contact us if you need your dental crown created today. Call 336-715-3014. 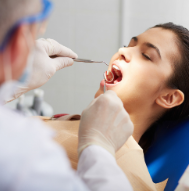 ​Root Canal: Root canals are a specialized procedure that not every dentist can perform. It is a procedure that must be performed with care. Root canals are the result of the irritation of a nerve supplying the tooth. It is a cause of severe tooth pain that can be alleviated by the most skilled dentist. Our dentists are skilled at rebuilding you smile so that it is at its highest potential. We can cure your ailments with our dental techniques. Call 336-715-3014. ​Emergency Dentist: If you have a toothache or tooth pain then we can be your emergency dentist. We are able to take your calls all hours of the day. We want to make sure that your dental care is handled because we know how excruciating dental pain can be. We can help alleviate your pain using our emergency dental skills. Call us now if you are in need of emergency dental care. Call 336-715-3014. ​Dental Fillings: If you have cavities that need to be filled we have the state of the art technology that it takes to make your dental filling perfect. We can administer numbing with our anesthetic wand technology so that you will barely feel a thing. If you have fear about the drill then we can offer sedation dentistry services for high anxiety patients. We are also able to offer onlays and inlays so in cases where your tooth has unexpected decay. Our dentists have been performing dental fillings for decades and are ready perfect your smile today. Call us now if you need dental fillings at 336-715-3014​. ​Dentures: The creation of dentures takes an artist, a sculptor, in order to make the most comfortable dentures possible. Dentures can come in all shapes and sizes. Our office is able to make partial dentures, complete dentures, and dentures with a dental implant. We use the most state of the art technology to create your dentures. Dental implants are the most comfortable way to replace a missing tooth in your mouth. It is able to assimilate to the tooth by anchoring the implant to the mandibular bone (lower jaw bone) in order to mimic the natural processes of the normal tooth. If you are in need of a dental implant today call us for quotes on dental implant therapy. Call now 336-715-3014. Bone grafts are used in order to generate enough bone for implant therapy. In order to have a dental implant you may need to widen your lower jaw to accommodate the dental implant. It takes a skilled, and experienced dentist in order to place your bone graft. That is exactly what we do here at Adams Farm Family Dental. Call us now at 336-715-3014. Soft tissue grafts are procedures that can be done to replace tissue that you may have lost in your mouth. Your mouth can have soft tissue loss or gum loss due to over brushing your teeth, trauma, tobacco smoking, chewing tobacco use as well as many other reasons. If you are in need of a soft tissue graft make sure to go to the best. Call us now 336-715-3014. Snap-on's are a quick and temporary fix to having a chipped tooth that needs to be fitted and repaired with a prosthetic material. We are adept at doing snap-on's and any other dental prosthetics that you need. We have a fully stocked laboratory that is technologically advanced. Our staff is experienced and our equipment is state of the art. Call now if you need a snap-on. 336-715-3014.